HUSBAND and wife lawyers are alleged to have duped insurance company bosses out of $17 million in two years. Court papers claim Alvaro and Josie Gonzalez stuffed $6 million into two bank accounts, splurged $4.4 million on a Kew mansion and spent almost $600,000 on a Carlton townhouse. Insurance underwriter Dual Australia has launched a civil case, and is using sleuths to urgently track down what it claims is a missing $6 million in cash or ill-gotten assets. The overflowing bank accounts are said to be linked to Josie Gonzalez, Dual’s former national claims manager, and have been frozen as a result of the court action, as have the two properties. Alvaro and Josie Gonzalez set up a law firm, and she then invoiced $17 million worth of legal advice to her employer for fictitious work, according to Supreme Court papers. The French provincial-style mansion in Fellows St, Kew, was bought last September. The couple were spotted leaving the property on Wednesday, but both declined to comment. Their lawyers, Sam Hay and Robert Sdraulig, also declined to comment on the case or on the nature of their defence arguments. 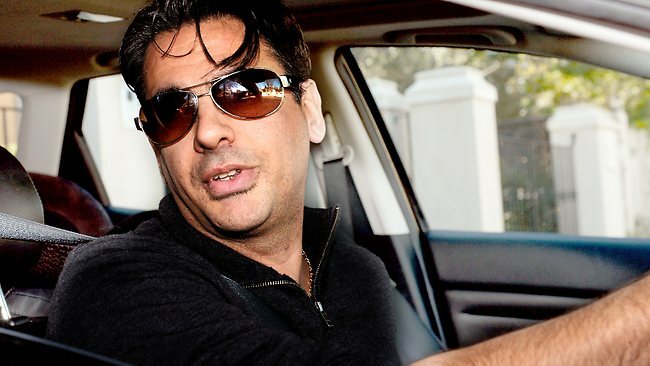 Company records reveal that a firm called JAAG Lawyers, which lists Josie and Alvaro Gonzalez as directors, has paid more than $5 million tax in the period since 2011, which may account for some of the remaining funds being sought, the court heard on Friday. But JAAG, which court documents state operated from addresses in Collins St and Rathdowne St, appeared to have no physical presence at the locations and the company’s sole client was Dual. About 430 allegedly fake invoices for legal services started being charged and paid at rates of $5000 and $10,000, but escalated to $75,000 to $100,000 in the last six months, court documents claim. A range of Victorian barristers were allegedly named as having conducted work on cases invoiced by JAAG, but when contacted knew nothing about the firm, documents claim. In his affidavit, Mr Bailey said Josie Gonzalez was a hardworking and trusted employee at Dual from November 2010, when she started, until May this year when she went on maternity leave. She would authorise payments of legal invoices, but Dual was unaware she had any link to JAAG until recently, the documents state. The alleged misappropriation of funds came to light after an audit identified high levels of legal fees at the company, the material claims. Mr Bailey claims in court documents that Ms Gonzalez had sought to “cover her tracks” when questions were asked and had requested that certain emails be deleted. “I believe that unless restrained by injunction, there is a risk that the respondents may remove assets from the jurisdiction or otherwise deal with or dispose of those assets,” Mr Bailey’s affidavit states. Five boxes of documents have been seized as a result of a court search order. On Friday Justice Timothy Ginnane described the case as “very serious allegations involving large sums of money”. Court documents say it is believed Josie and Alvaro Gonzalez have dual Australian-Uruguayan citizenship. It is understood police are yet to be informed of the alleged fraud.